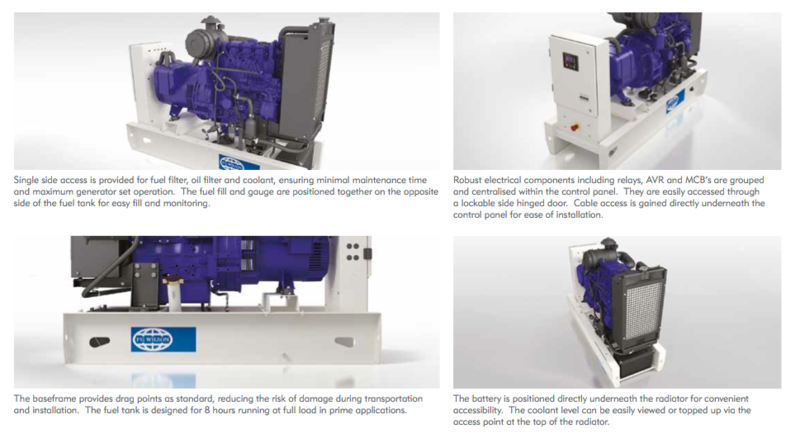 The 5.5 – 22 kVA range of generator sets is designed to power your every need. With an enhanced choice of power nodes, this range is engineered for optimum performance in diverse applications including construction, residential, retail and telecommunications. The contemporary design of the polymer enclosure option redefines durability in the marketplace and further enhances this range alongside the more traditional metal enclosure. A series of key enhancements have been introduced to the 5.5 – 22 kVA range. Most notable is the common sense component arrangement, facilitating greater operator access and serviceability. This range employs the power and efficiency delivered by world-renowned Perkins and kubota engines. When it comes to innovation, our polymer enclosure redefines durability. 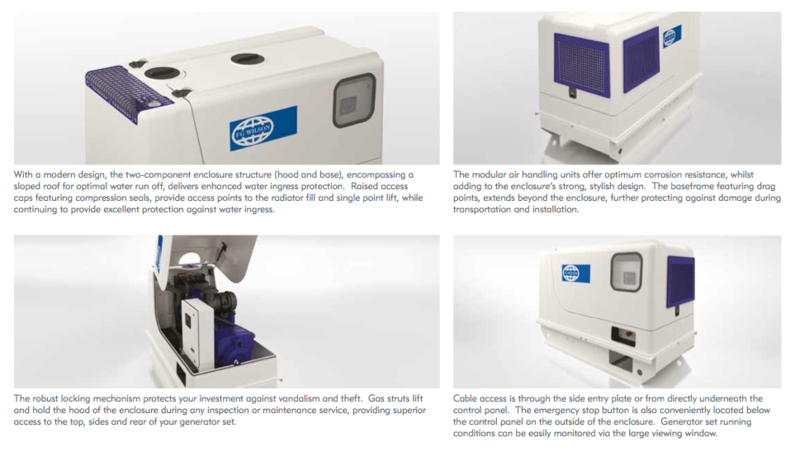 Constructed from one of the most robust materials, proven to withstand the harshest mining environments, this market leading enclosure is not only robust but is designed for improved access and serviceability. 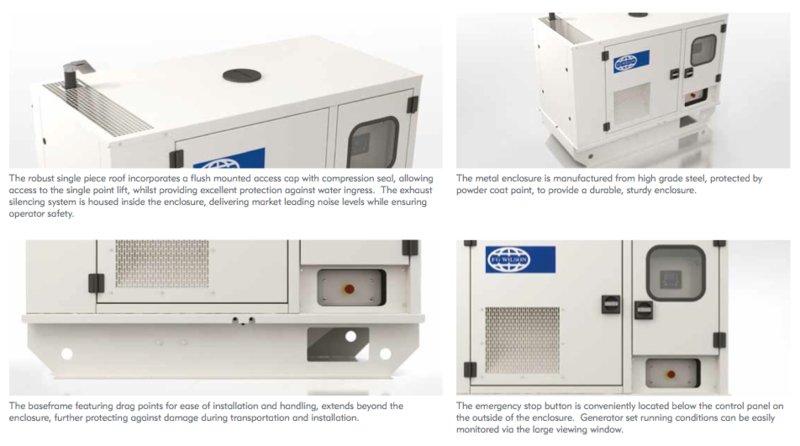 Our metal enclosure option, proven in the marketplace for many years, has been further enhanced to continue to provide the best service and maintenance access possible, whilst maintaining its original design.